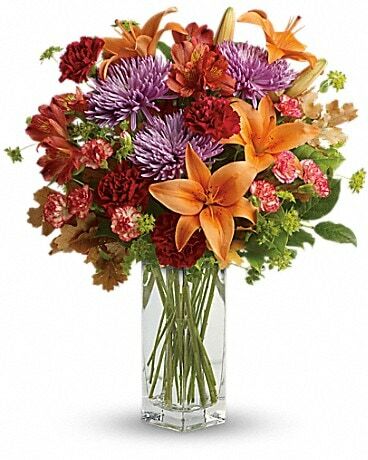 Teleflora's Fall Brights Bouquet - by Nance Floral Shoppe, Inc. 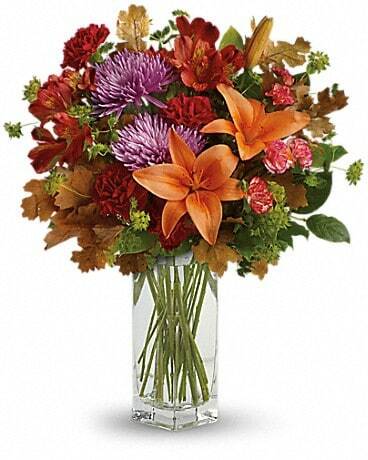 In Store PickUp Select Pickup StoreNance Floral Shoppe, Inc.
Brighten any fall day with this colorful array! 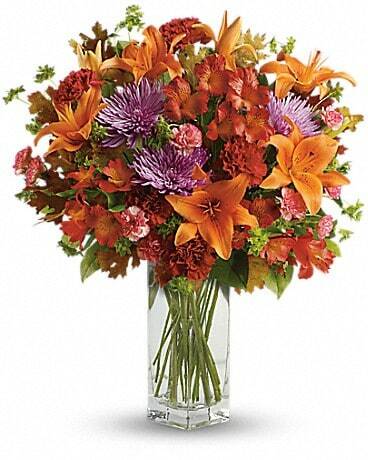 Gorgeous orange lilies arranged with red and lavender blooms are sure to make someone smile!